We’ve all heard horror stories of arcane and inefficient CRMs. The stories about it taking 5 hours to find the simple data you need. Or the data is such a mess that everyone just ignores the weekly reports rather than try to make heads or tails of them. In some cases, the frustration of having to repeat the same processes over and over again might lead someone to chuck their entire computer out a window. For better or worse, many of these problems actually stem from the organization rather than the technology. Many companies implement a CRM in a haphazard way. They don’t invest the right amount of time and money in proper setup, rollout, and training. People don’t use it. The data becomes a mess. Or, computers can be seen periodically flying out of office windows. Your CRM platform is likely one of the most essential pieces of technology for your entire business. It should be an enormous asset, which allows your entire to operate more efficiently and with greater insight. It’s the heart of sales, marketing, service, and many other business functions. But, not without the right investment. Rather than being an asset that drives your processes, your CRM becomes a bottleneck--a burden and a money sink. 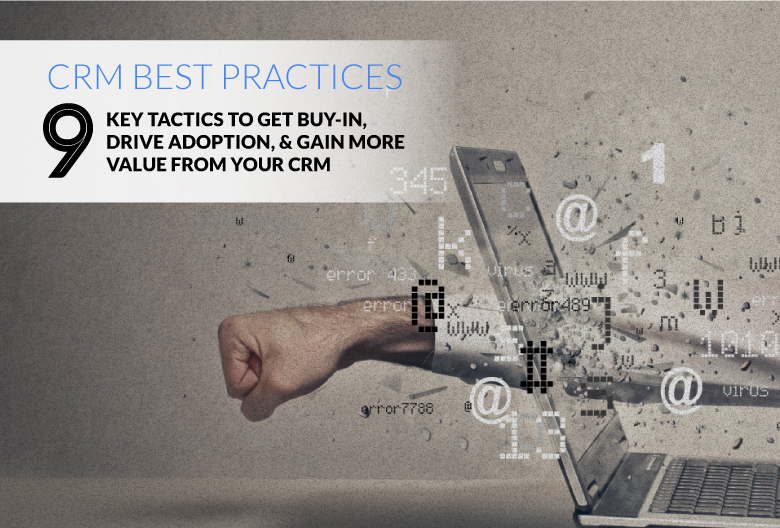 If you want to make sure that your CRM is an asset for your business and that you get as much value as possible from the right technology, there are some best practices you should follow. 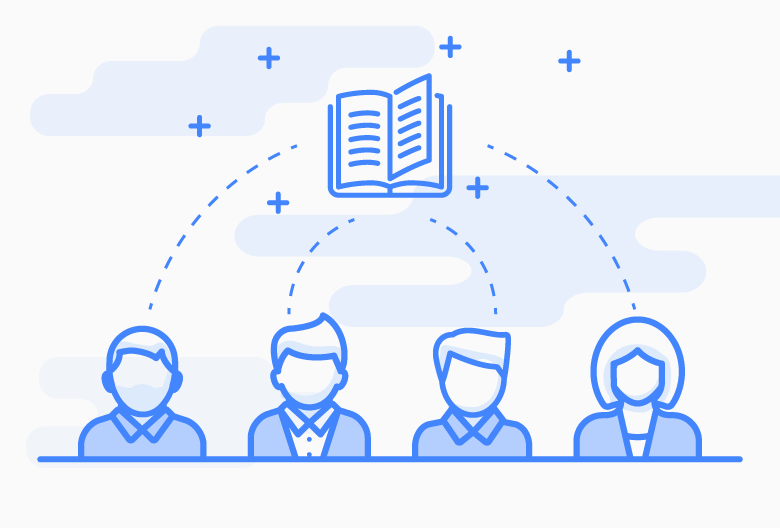 The most important part of deploying a CRM solution is making sure that all relevant members of your team have the knowledge and training they need to be successful. Without investing in the proper onboarding and training (for both current team members but also for future hires), you can’t realistically expect people to intuitively know all of the ins and outs of your CRM or how they should be using it in sync with the rest of the team. Plain and simple: If you don’t invest in proper onboarding and training for your CRM, you’ll struggle to gain adoption and get buy-in, and you’ll leave a ton of value on the table. Part of an effective CRM strategy is defining how you’ll use the tools beyond just a repository. The data inside your CRM can be a treasure trove of customer insight. But it’s only useful if it’s stored and formatted in a consistent, usable way. This requires your team to have a shared understanding of how to use the CRM and how data should be stored for maximum effectiveness. Define and document your data practices. Store these practices in a central location where anyone with CRM access can see and implement them. But, most importantly, enforce these rules. Carve out time and process for periodic audit of the CRM data. Give someone ownership over those practices are updating them to reflect changes in your business. Similar to setting practices for data input, your should also establish practices for how you will communicate with the prospects, opportunities, and leads that exist in your CRM. Every salesperson may have a slightly different cadence depending on their individual selling style, but having standard workflows will make it possible for multiple salespeople to track the progression of opportunities through various stages in the buying cycle. In order to have a consistent and accurate view of the sales pipeline, there needs to be a shared understanding and definition of the different types and phases of communication. Related to the previous point on communications workflow, this relationship can also work in the opposite direction. You will define your initial sales process out of the gate, but the data in your CRM (e.g., close rate for various stages) can provide a feedback loop that lets you refine and improve the sales workflow. If you identify stages where prospects are falling off, then you may implement new practices to increase the number of touches to this point. Or, move the first in-person meeting up to an earlier stage to help establish trust and rapport. Another giant barrier to CRM adoption is if data from different sources needs to be manually searched or inputted again. Modern CRMs should have smart integrations that allow you to pipe data from one source into the CRM platform and vice versa. It may require some initial technical setup, but it can have hundreds or thousands of hours in superfluous work and re-entry. Plus, it gives all your CRM users access to broader, more up-to-date data and it allows you to use the right tools for different parts of your business rather than using one tool to try to do everything. One of the best ways to drive adoption is simply to make sure that your new tools and technology make your team’s lives easier rather than more difficult. A sure-fire way to do this is to automate as many tasks and functions as possible. Especially if those tasks were previously seen as pain points or tedious and time consuming, your team will likely jump at the opportunity to reduce their busywork. Use automation to increase the efficiency of your team and give them more time to focus on their most critical work responsibilities. Most CRMs come with specific reports and dashboards out of the box. Sometimes these are useful, sometimes they’re not. Chances are that your organization will need to define and create the right reports to accurately inform your business processes. Again, the data in your CRM can be hugely useful for deriving user insights--but only if it’s put to use. The biggest touchpoint between your team and your data is whatever weekly, monthly, or quarterly reporting you generate from your CRM. So, if that data isn’t highlighting the most important metrics for your organization, you are missing out on a big opportunity to inform and shape your processes. Sales, marketing, and support don’t live in silos or vacuums. They need to have shared customer data, interaction history, needs, and more. This is a fundamental building block of a the modern customer experience and delivering consistency across different channels and throughout time. This also means that your CRM needs to be accessible by various teams and people. Each of them needs to have the right training to use and understand the tool. Each team will be able to operate more effectively if every team has the right access and training. The needs of your organization and your people will shift. As your business grows, workflows will change, technical requirements will change, and you’ll need to continue to maintain and update your CRM to make sure that your team is getting as much value as possible from the tools. Don’t view a CRM platform as a single, one-time investment. Be sure that you’re also budgeting time and money for ongoing support and maintenance. Not only do you want to keep your CRM functioning as you initially intended, but you’ll also want to take advantage of new features and functionality, plus take advantage of process changes that can improve your business. Individually, most of these best practices may seem obvious or small in scale. But, taken together, they define a roadmap for successful CRM implementation. Keep in mind that your CRM is an investment. But, unless you invest enough to make sure it’s a valuable tool for your team and your business, then it’s just an expense with no return.